Imagine having a member of staff who you could hand all of your invoices to and they would just automatically appear in Sage One Accounts? Some of you may already employ someone to do just that. 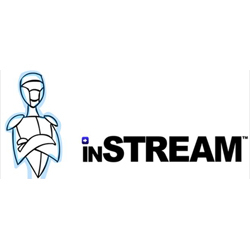 Meet their new best friend – inSTREAM. Using technology I didn’t even know existed never mind used, inSTREAM allows you to scan or email your invoices directly into the system and then the data automatically appears in Sage One without any typing whatsoever. How it actually does this is best left for more intelligent folk than myself and if I hadn’t seen it with my own eyes I probably wouldn’t believe it! Sometimes the system does need some handholding. For example, if it can’t find the key data or something it’s unsure of, you can teach it with a couple of mouseclicks. The system will know how to handle that data itself next time. It really is ‘Artificial Intelligence’. The more you use it, the more it understands and the less assistance it needs. Perfect for small business owners, bookkeepers or accountants who find entering invoices into Sage One a chore or simply want to speed up the process, take a look at inSTREAM’s listing on the Sage One Add Ons page.